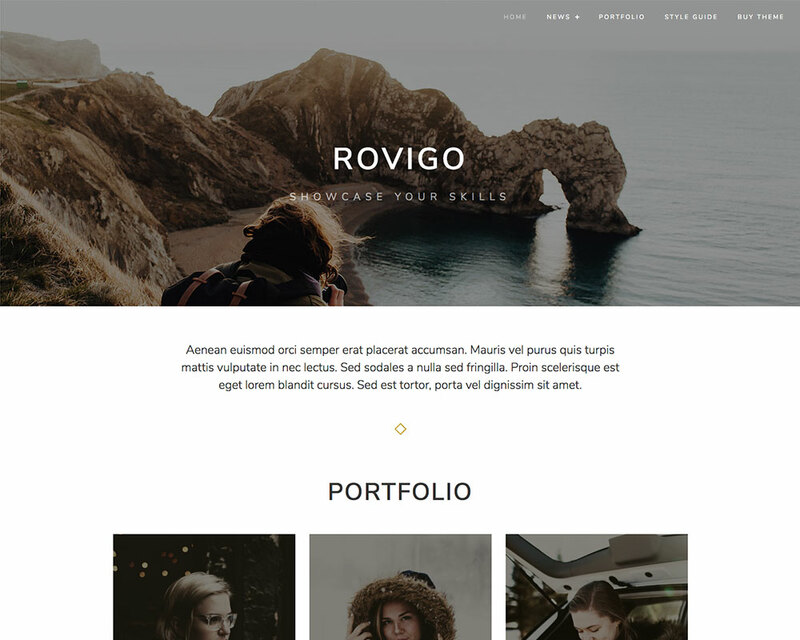 Rovigo is an elegantly-designed portfolio theme for WordPress. Includes Jetpack Portfolio support for easy, future-proof management of your content. 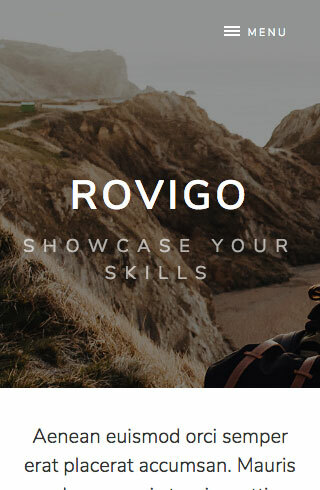 Rovigo is a portfolio theme. Designed by Tung Do. Jetpack Portfolio support. If active, the latest three Jetpack Portfolio items will display on the homepage. Up to you how to use the portfolio archives. Jetpack Infinite Scroll support. As seen on the demo site with a “Load More” button will be displayed, however, this can be changed in your Reading Settings. Call to action text on the homepage. To go along with your latest portfolio items and blog posts. Core Custom Logo feature. Not visible on the demo site. You can also easily hide the header text. Core Custom Header feature. The image you see on the demo site is included as the default (cc0 licensed). A featured image header. On singular pages, the featured image will override the custom header. A social links menu. Visible on the demo site in the footer. When uploading featured images, try to upload a 1600px wide image and let WordPress resize them for you. This will make sure your images are sized nicely for aforementioned featured image header feature, along with the 364×364 squares visible on archive pages. A Masonry is used for blog post archives. Even though you might not be able to tell from the demo site at first glance, as similar lengths of texts are used for each post. Need modifications or a custom solution? Get professional help from Themetry's development team.